I specialize in empowering ambitious individuals & teams to think, act, & execute at an elite level. What led me to launch The Molitor Group? I've spent the last 26 years developing my leadership skills and helping people to get into their greatness while coaching college basketball at the highest level, succeeding in one of the most competitive mortgage markets in the country (Chicago), and serving as VP of Operations in an industry-leading recruiting firm where they specialized in consulting and placing former, exiting, and retired military in jobs throughout the country. I've worked with some of the best and brightest minds in three incredibly competitive industries, where every day you are expected to perform at the highest level. During this remarkable journey, I developed a unique skill set to deliver leaders across the country a purposeful, authentic, positive, energetic, refreshing experience to unlock their true potential. After working with countless folks throughout my career, I decided to launch The Molitor Group in 2016 so I could reach and add value to even more ambitious folks achieve their goals every day. Now, I get to do this every single day. Whether coaching Leadership Performance clients one-on-one, conducting on-site or off-site Leadership Performance training, or speaking to an audience at a corporate event or celebration, I weave The Athletics of Business mindset into everything I do. This mindset grew from my experiences as an athlete and college coach, both of which helped shape my core values: authenticity, purposeful, passion for life, positivity, work ethic, servant mindset, commitment to relentlessly pursuing greatness, and resiliency. I help my clients achieve real, tangible results. Working with a coach or consultant is an investment in your future success, and something I take very seriously. I want to work only with folks who are ready to commit to the process and make real, lasting change in their careers and life. Check out the video below to learn more about our approach & philosophy. 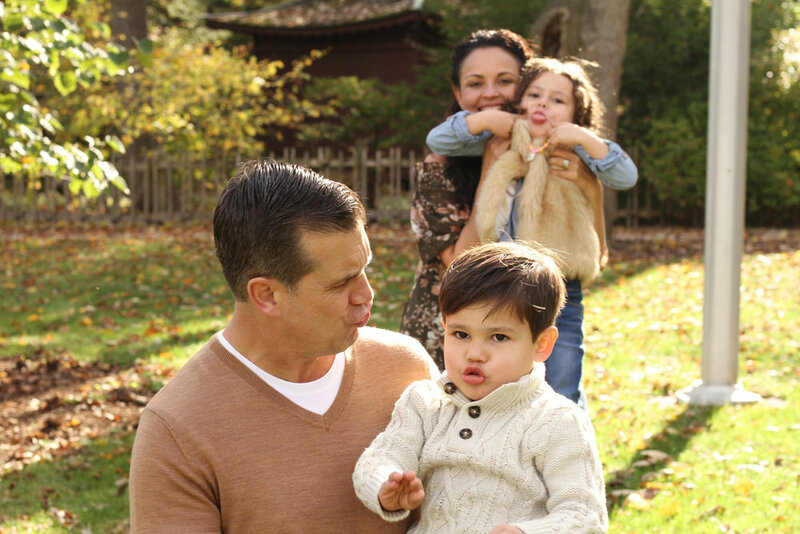 I love spending time with my incredible wife Nancy, and our two little ones Maddie & E.J. They are my "why", and the reason I wake up every morning and get after it. My family and I love to spend our time together being active with sports, taking road trips together (or as the kids call it, “going on holiday”), exploring what Chicagoland has to offer, and just sitting around laughing with each other. Now ... how can I help YOU? I work with executives, small business owners, entrepreneurs, entry-level professionals, teams, and other ambitious individuals in a variety of different ways. You can read more about our programs and services here, sign up for our virtual courses here, or follow us on social media to stay up-to-date on the latest news from our team.